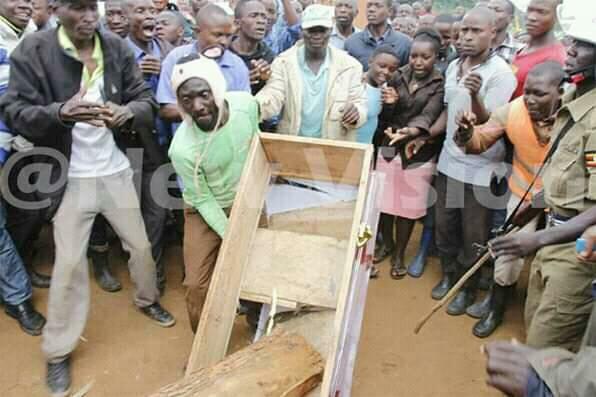 Drama ensued at Lusaaka, Kalisiizo Kyotera District after a one Kafeero, 30, commonly known as Ivan K, announced the death of his ‘son’ Junior. As is the norm, residents gathered at the home of Kafeero to mourn the passing of his ‘son,’ which was followed by a vigil. However, all hell broke loose in the night when mourners demanded to view the body of the deceased, and pay their last respect. 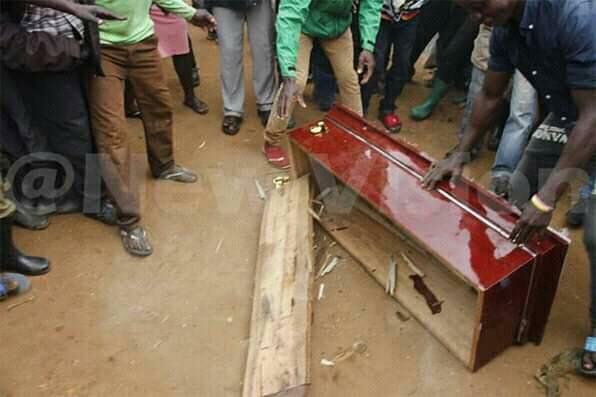 Police then engaged in running battles with the mourners when they attempted mob justice on Kafeero after they were tipped off that the whole funeral was a hoax. The mourners overpowered the funeral managers and on opening the coffin, they only found a log. Kafeero managed to escape in his car and is still at large. 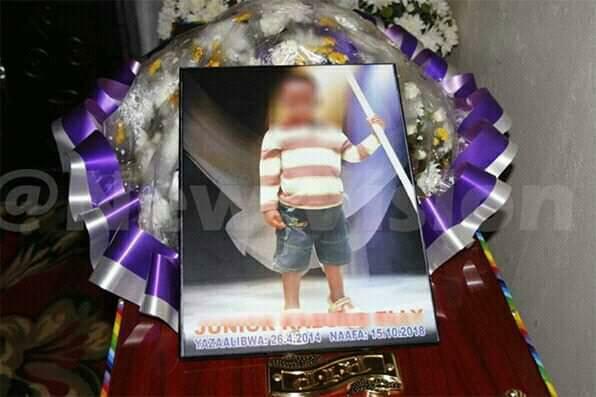 Police that were deployed at the scene later arrested the funeral service team for further questioning.